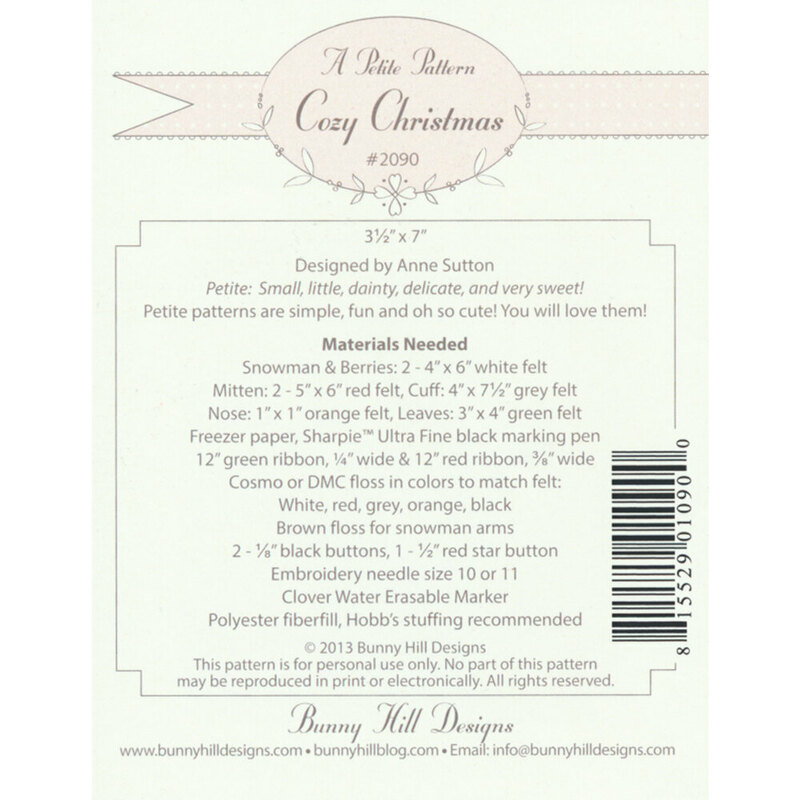 Cozy Christmas is a Bunny Hill Petite Pattern. 3 1/2" x 7" wool felt ornament. 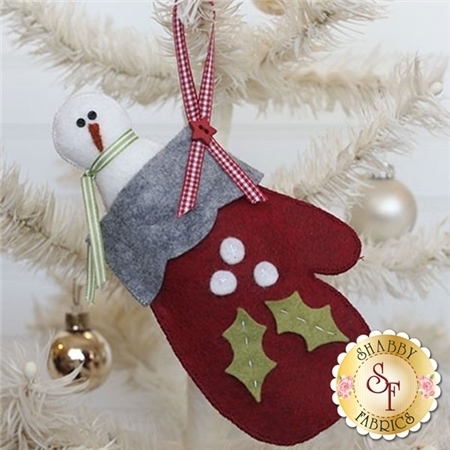 Perfect for Christmas decorating and so much fun to make. Petite patterns are small enough to tuck inside a card for the perfect gift!